Sure, what happens in Las Vegas stays in Las Vegas, but while Exhibit Deal can't control your luck at the tables, they can help you have a great trade show experience. Give them a call at 866-577-DEAL to discuss the things you need for the perfect trade show experience. Exhibit Deal also provided the information about Las Vegas and the associated Convention Centers and Trade shows on this page. When your organization plans to meet in Las Vegas, Exhibit Deal is who you need to turn to for full-service trade show displays and exhibit design. Whether you're looking for a modular pop-up exhibit system, a table top display, a portable display or want an entire exhibit custom designed for your organization, Exhibit Deal can meet that need at competitive price. 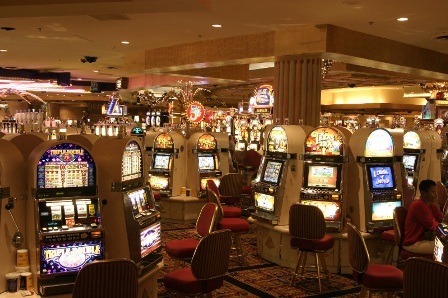 Las Vegas is a popular destination and can easily be reached from just about anywhere in the country. Still, that doesn't mean you need to pay outrageous shipping costs and worry about whether or not your materials will arrive in time. Rent your kiosk or modular displays from Exhibit Deal and save the shipping costs from your company budget. Exhibitdeal.com is your online source for promotional marketing and for visual marketing solutions. The full service range of products you need is just a click away when you trust your trade show experience to Exhibit Deal. Conveniently located to the Las Vegas Strip, the Las Vegas Convention Center is located within walking distance of 100,000 hotel rooms. The state of the art center is one of the most functional and current convention centers not only in the United States but around the world. The Las Vegas Convention Center received the AIPC Gold Certification from the International Association of Convention Centers in 2012. The facility covers 3.2 million square feet and offers 250,000 square feet of meeting space and an astounding 2 million square feet of exhibit space. Almost 150 meeting rooms can handle groups that range in size from 20 to 2,500. All of this is accessible from a grand lobby and registration area more than 225,000 square feet. Built thirty years ago with the purpose of providing convenience, workability and versatility for trades shows and conventions, the Cashman Center is home to the Las Vegas 51s, the AAA affiliate of the Toronto Blue Jays. 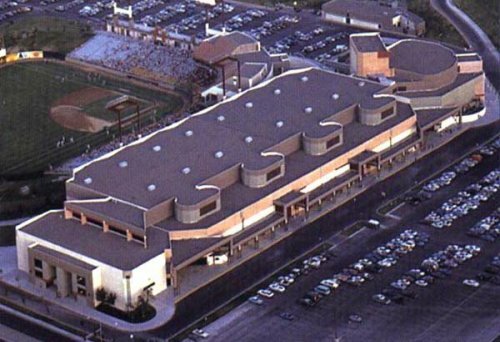 The Cashman Center is built on land provided by "Southern Nevada Pioneer" James "Big Jim" Cashman a community leader in Las Vegas. The Cashman Center provides a total of 98,100 square feet via two adaptable exhibit halls. Space includes a 1,922 seat theater and 14 meeting rooms. These are available independently or in a combination tailored to your event and budget. In Las Vegas, you can expect more than 300 days of sun every year. Summers can be quite warm, but the winters are mild. Upcoming Trade Shows and Conferences in Las Vegas. 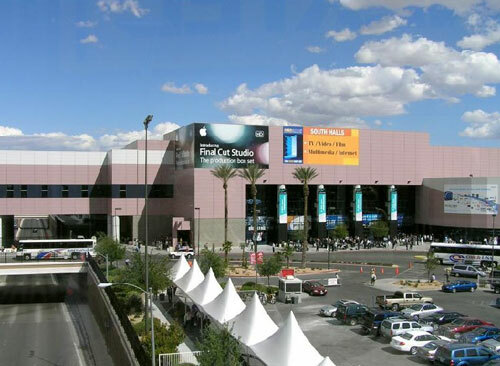 If you want to know what trade shows and events are coming up in Las Vegas, follow this link. As a major tourist destination, Las Vegas is easily accessible by air. It's also a fairly convenient drive from several western cities. Located five miles south of downtown Las Vegas McCarran International Airport is the main commercial airport for Las Vegas. North Las Vegas Airport serves the general aviation population and is a convenient alternative for private aircraft. Las Vegas currently is not accessible by Amtrak with the exception of connector buses from Arizona and New Mexico stops on the Southwest Chief out of Chicago. Buses: Bus transportation (702- 228-7433) is provided in and around Las Vegas by the Regional Transportation Commission of Southern Nevada. The Deuce, a double-decker bus runs along the Las Vegas Strip 24 hours a day, seven days a week. Trains: The Las Vegas Monorail is available for getting around town, getting you from one end of the strip to the other in about 15 minutes. This seven-stop, elevated train system connects major hotels and attractions along a 3.9 mile route of the Las Vegas Strip. Other: Five taxi cab companies in Las Vegas are available to get you around town under the umbrella of Frias Transportation Management (702-888-4888) . Limousine service is also available. Las Vegas has more than 150,000 hotel rooms available to accommodate your trade show attendees. Major Attractions: Enjoy the American Muscle Car Driving Experience at Red Rock Canyon, be a Rock Star for a Day, view an exhibit of Titanic artifacts or try Indoor Skydiving. Or take in M&M's World, Madame Tussauds Las Vegas or the National Atomic Testing Museum. Major Entertainment: There's no shortage of entertainment opportunities in Las Vegas ranging from headliner performances and concerts to Broadway shows. 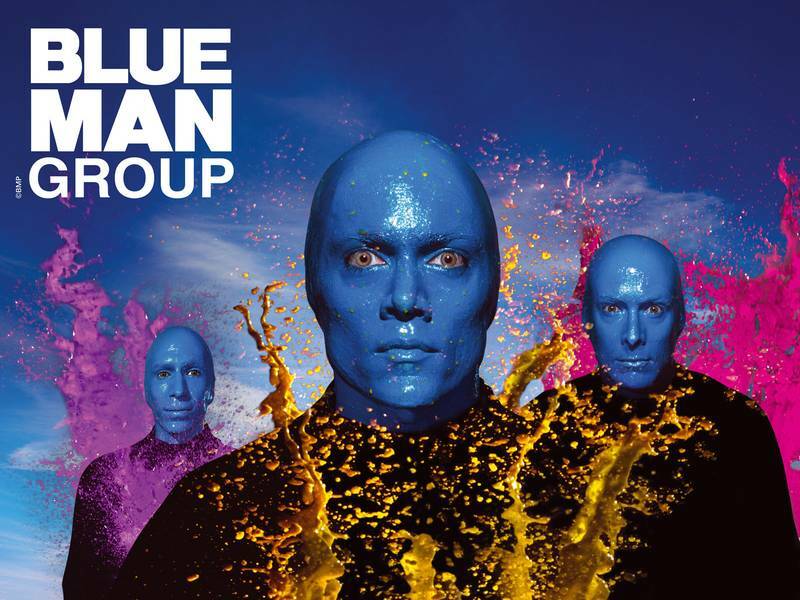 Take in Cirque de Soleil, the Blue Man Group, David Copperfield and more. Shopping in Las Vegas: Whether you're looking for outdoor malls like Town Square or Tivoli Village or high end shopping like Via Bellagio and Crystals, you don't have to spend all of your money in the casinos. Check out the Forum Shops at Caesars Palace and the Miracle Mile Shops at Planet Hollywood. If you're looking for a bargain head either north or south to reach the Las Vegas Premium Outlets. 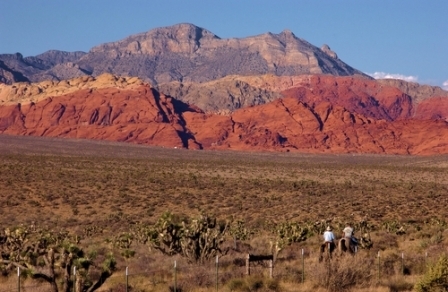 Excursions from Las Vegas: Take a tour up to Lake Powell or into Red Rock Canyon. One of the most popular day excursions is a trip out to Hoover Dam. You're also in close proximity to Death Valley National Park and Zion National Park. For the conspiracy theorist, there's always a trip out to Area 51. Food & Beverages: Food opportunities in Las Vegas may be some of the most diverse and delightful available anywhere. Martinis are the fashionable cocktail of choice in Las Vegas, but there's no shortage of beer or tequila. Pink's restaurant located in the Planet Hollywood Resort services up the iconic "Vegas Strip Dog." If it's fine dining you're looking for, Chef Emeril Lagasse will not disappoint with his lobster and spicy fries, found at his Delmonic steakhouse in The Venetian hotel. Whatever your preference you won't go hungry in Las Vegas.